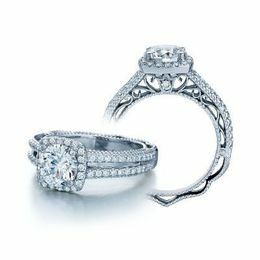 Verragio Designer Diamond Engagement Rings and Wedding Bands. Present Your Intended with a Stunning Designer Diamond Ring by the Meticulous Designers at Verragio. Your Bride-to-Be will Swoon at the Beauty of Verragio’s Glamorous Diamond Ring Settings. 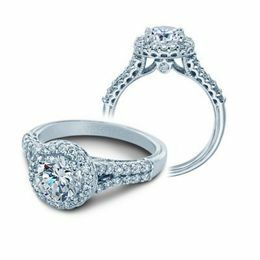 If you are searching for that one diamond ring to matches your heart-felt love and respect, the Verragio Designers have created a collection of diamond engagement rings to satisfy your desire, and your budget. Kranich’s Jewelers of Altoona, State College, and Johnstown, Pennsylvania will assist you as you explore your options in this important investment in your future. * Verragio’ s Unique "Fit-Right" sizing technique can size your ring. 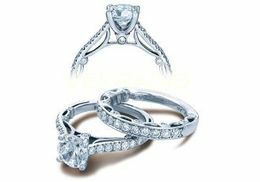 * Safe, quick, cost-effective ring sizing without effecting the integrity of the design. * “Fit-Right” sizing stays in place, fits comfortably, won’t spin, and displays your diamond glitter Magnificently! * Choose Platinum, White Gold, Rose Gold, and Two-Tone. Settings for Your Verragio Diamond Ring. * Exclusive Diamond Ring Settings, for Round, Princess, Emerald and Other Diamond Cuts. Verragio Bridal Sets and Wedding Bands are unlike Any Other Diamond Engagement Ring or Wedding Band. 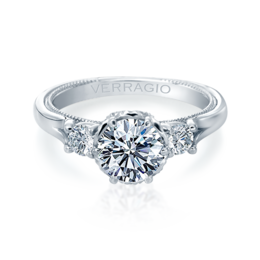 Verragio designers create each ring in true artisan style. Never settle for average, exclusive Verragio designer rings continue to be cutting edge in design and craftsmanship and maintain superior quality and solid classic foundations. Verragio Diamond Engagement Rings, Bridal Sets, Wedding Bands, and Diamond Anniversary Bands are Crafted with a Passion to Satisfy the discerning tastes of Beautiful Brides and Handsome Grooms. When you slip a Verragio Diamond or band on her, or your, finger, you will instantly feel the passion in the romantic moment. Enjoy the excitement of your future together. Let Kranich’s guide you to the best purchase for your life style and know that your forever investment can last generations. 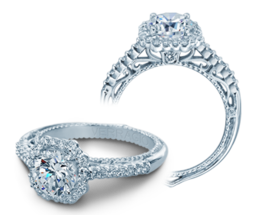 Verragio Ring Collections are created by Designer Barry Verragio. Mastering his art of fine, prestigious ring design in New York City, every setting in the Verragio diamond ring, bridal sets, and mens ring collections are created in chic, distinctive styles that will enchant you and your bride. 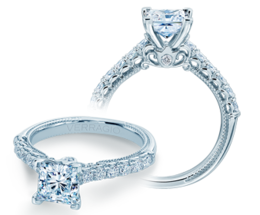 Verragio is inspired by beautiful woman... classy, elegant, sophisticated. This is how designer Verragio creates and the stunningly gorgeous diamond engagement rings and wedding bands presented in his collections. Each Verragio engagement ring and Verragio wedding band made in Verragio’s design studio are a testament to this passion. For this is very special time, the beginning of your lives together, allow yourself to indulge your eyes and heart in browsing the Verragio Designer Collections. 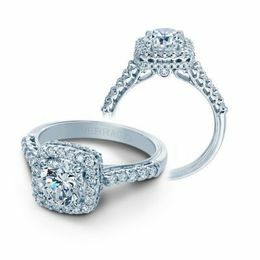 Stunning Diamond Engagement rings in unique styles. Dapper Mens Wedding Rings in gleaming polish and textures, and Gorgeous Bridal Sets. Meaning Paradise. Sparkling Verragio Diamond Engagement Rings and Wedding Band Sets presented in perfect harmony. The Paradiso collection of diamond engagement rings by Verragio are designed with diamond embellished double shanks that display delicate lace scrolls that wrap her finger in splendid elegance. Verragio constructs each Paradiso ring to fit in secure comfort. The Paradiso Collection from Verragio Designers is Exquisitely Ornate Diamond Engagement Rings, Bridal Sets and Diamond Wedding Bands. * White Gold, Yellow Gold, Rose Gold and Platinum. * Impressive Full or Half Diamond Riviera Shanks. * Two-Tone Gold and Platinum Settings. * Intricate Lace and Scrollwork. * Crafted to Fit in Comfort without Spinning. Exclusive in design and craftsmanship, a Verragio Couture Diamond Engagement Ring for those who desire the finer things in life. This is the little black dress ring, a refreshing look to a classic foundation in diamond engagement rings. With a completely customizable profile, you can choose diamond intensive full or half diamond riviera...the sky is the limit with Verragio Couture Diamond ring collection. * Riviera Shanks styled Full or Half and Sparkling with Diamond accents. * Drenched in White Diamonds to set off Your Center Stone for Maximum Glitter. * Make it Yours with Customizable Options that Match Your Style and Budget. 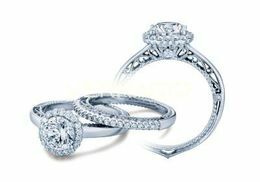 * Traditionally Fabulous Diamond Ring Classic Designs. * Very Elegant Crown Shaped Bezels to Enhance the Sparkle of Your Diamond. * Choose Diamond Intensive Settings and Mounts or Sleek and Gleaming Classic Profiles. * Comfortable Fit and Expert Sizing, Holds Place on Your Finger for Exceptional Display. Brilliant Regal Mountings and Designs. This is an opulent ring collection. Verragio Insignia Designer Rings will make you feel like royalty. Characterized by grandeur inspired by royal crowns. by Add a custom touch to the scrollwork, French beading or both, to make the Verragio Insignia ring uniquely yours. You and your bride will cherish this symbol of everlasting love. * Inspired by Regal Crowns, the Verragio Insignia Diamond Ring Collection will thrill. * Customizable Options are Available for Insignia Diamond Rings and Bands. * Each Diamond is Lifted on a Double-Shank Tiara. * Enhance the sparkle of your Verragio Diamond Ring with Customized Touches. * Ornamental Scrollwork and Diamonds can be Crafted to Enhance Your Mounted Diamond. * French Beading can be added for Extra-Special Elegance. Embellished in glittering diamonds on intricate filigree bands. Enchanting and skillfully crafted by Verragio ring designers. 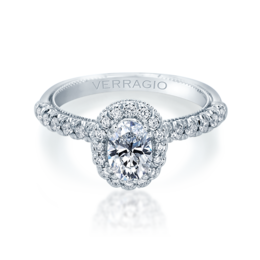 The Venetian Diamond Ring Collection allows you to choose a particular look for the often-unrecognized bottom portion of your ring. Choose a unique rose or yellow gold lacework to express your individual style in two-tone, double shanks, or enjoy the richness of all white gold or platinum. Sparkling Diamond Halos wrap your Featured Diamond in the Captivating Verragio Venetian Designer Ring Collection. * Enhances the Profile and Crown of Your Diamond Ring with Elegant Lace Scrollwork. * Verragio Venetian Settings are Designed as a Tiara Crown Styled to Mount Your Chosen Diamond. * Romantic Lace Profiles and Double shank designs. * Lacey and Sparkling Two-Tone Shank and Bezel Settings. * Intricate detailed finishing with French beading. * Vintage Styled in Rose and White Gold. 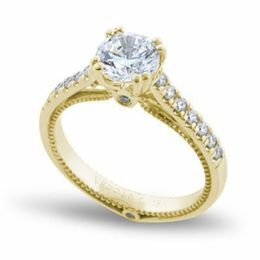 * Make-It-Yours Customizable Options to Design Your Unique Diamond Ring. * Comfortable Fit Designed to Prevent Spin and Stay in Place. Ornately Designed in French baroque and traditional styles of French beading and lace. Explore the Verragio Parisian romantic engagement ring and wedding band collection offering four customizable wraps with the most options. Parisian styles start at an affordable price, so you won't have to sacrifice quality. Allow Yourself to be Enchanted with Beautiful Diamond Rings in the Parisian Style! 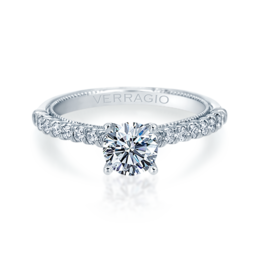 Verragio Parisian, Surprisingly Affordable, with Custom Options is an Excellent Choice when Looking to Invest in a Lasting Treasure! * French Baroque Style Diamond Rings From Verragio. *Romantic Designs Verragio’s Parisian Designer Ring Collection is the Most Customizable. * Design a Parisian Verragio Ring to Please the One You Love. 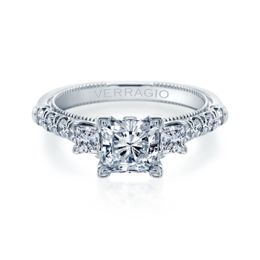 * Verragio Parisian Diamond Engagement Rings and Wedding Bands are Affordable and Luxurious. 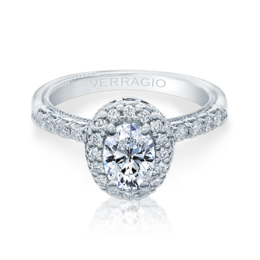 * Verragio Parisian will Accommodate the Young ouples Budget Without Sacrificing Quality. * Enjoy the unique wrap and layer design band in white with yellow gold detail. 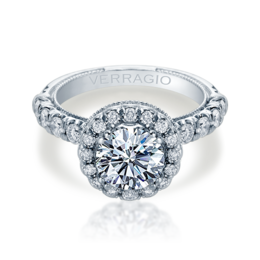 * Young couples can afford a Verragio Parisian Diamond Engagement Ring and Wedding Band. 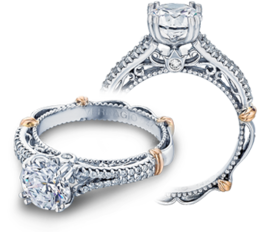 * The Surprising Cost of the Parisian by Verragio allows Custom Options for the Bride and Groom. Crafted in Splendid, Tasteful Designs. 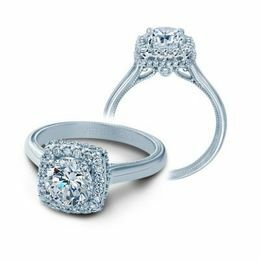 Verragio Matching Wedding Rings, Bridal Sets and Men's Wedding Bands Offer Customizable Options from Affordable, Elegance to the most Opulent Glamour. View the handsomely rich Mens Wedding Bands from the artisans of Verragio Designers. Crafted in distinctive style to please the unique preferences of the dashing groom. 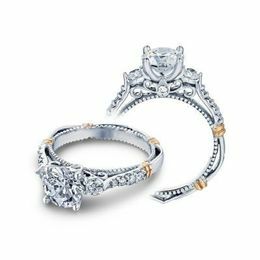 Verragio wedding ring, diamond settings and wedding bands are meticulously formed of Platinum, 18k white or 18k yellow gold. Verragio diamond engagement rings and wedding bands will please any dapper groom and elegant bride who prefer the quality and craftsmanship of a dazzling, sparkling pageant of diamonds, or sleek, elegance of a masculine band. 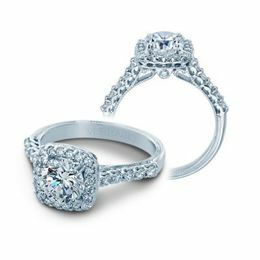 Explore Verragio Ring Collections and you will find the perfect engagement ring and wedding band right here. Our Expert Jewelers at Kranichs are Continuously Dazzled by the Diamond Ring Settings Crafted by Verragio Designers. Kranichs Jewelers will take you through each step so your purchase of your Verragio Designer diamond engagement ring and wedding bands is seamless. Find your chosen Verragio style here, the Verragio Engagement Ring will take her breath away and will be a cherished treasure of your promise forever! As you plan to invest in a wedding band to match, we will present the Verragio Wedding Bands that are beautifully crafted with intricate details to make the perfect bridal set. 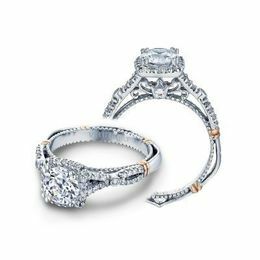 We can also help you with financing to make your dream of owning a Verragio Diamond Engagement Ring or Wedding Band a reality. 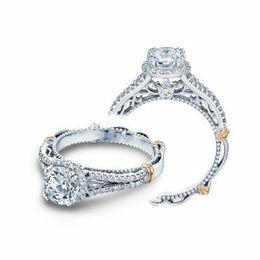 Designer Verragio Rings. 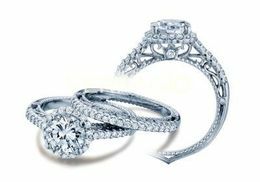 Sparkling Diamond Engagement Rings. 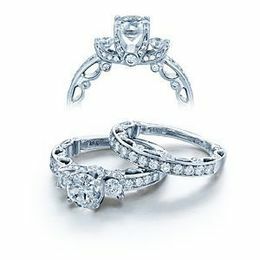 Bridal Ring Sets. Verragio Designer Wedding Bands for Men and Women. Call 888-944-4575, Chat or Visit Kranich’s today and enjoy investing in your future together. Financing Options Available.